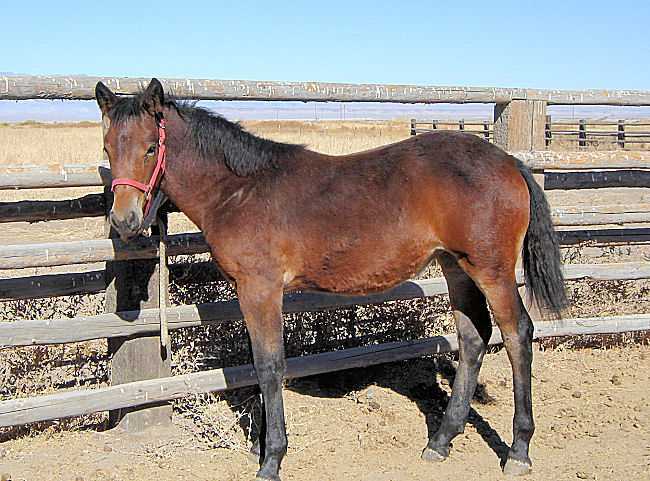 Bay/ Filly Quarter/Spotted Draft Cross. This is a very kind sweet filly. She was orphaned at a young age but was with a group of other mares and has no orphan problems. Her mother was "Harmony", a quarter horse and her sire is handsome "Ernie", a spotted draft. He has a clyde/ Paint/ Percheron background. 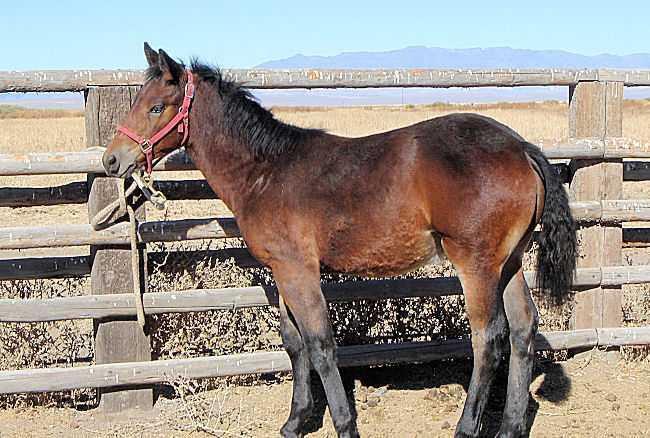 Ernie's foals are sweet and easy to work with as well as very talented! Solo is ready for a loving family or special friend.